Motorcycle riders are much more likely to be seriously injured in an accident than passengers in a car or truck. It is similar to being struck as a pedestrian. Without having the protection of a car or truck around you, there is nothing to absorb an impact and protect you from suffering a catastrophic injury. When you have suffered a serious injury, the process of recovering can be a long and painful experience. You and your family will be adversely affected especially if they depend on your income. If you or someone you know has been injured in a Nebraska accident, the Montag Law Office (your Omaha Nebraska Motorcycle Injury Lawyer) would be a good place to call right away. We can discuss your situation during a free initial consultation and evaluate the strength of your case. Steven A. Montag exclusively handles motor vehicle accidents. When you have been seriously injured in a motorcycle accident, you should get the expert legal representation you need right away. Many motor vehicle accidents with motorcycles occur in Nebraska each year. They are a leading cause of serious injury or death. A major contributing cause of motorcycle collisions is driver inattention and negligence. When other drivers are careless and fail to maintain a proper lookout, they may not see a motorcycle rider. As a rider, you are vulnerable and need to be extra careful to avoid traffic hazards. You should also wear protective gear. The most important protective gear is your helmet. Serious brain injuries can result when your head hits another vehicle or the pavement. Protective gear can also include a good jacket and protection for your legs. Head Injuries – Head and brain injuries can be fatal and can have devastating effects even if you survive. Broken Bones – Broken bones often occur in motorcycle accidents. Recovery can be long and painful and permanent disabilities are possible. Road Rash – Caused by abrasion from the rough road surface. Spinal Injuries – An injury to your spine can be a disabling and life-changing event. Even a less serious back injury may require physical therapy or chiropractic treatment. Wrongful Death – Death, disfigurement or permanent disabilities are possible. If you have been injured in a motor vehicle accident in Nebraska the Montag Law Office can help. Steven A. Montag has handled many motorcycle accidents in Omaha, Lincoln and other parts of Nebraska. Since 1998 his practice has focused entirely on injury claims. There is no up-front retainer so it does not cost anything out-of-pocket for you to hire the Montag Law Office. Don’t wonder if you have a good case or worry any longer. Your Omaha Nebraska motorcycle injury lawyer Steven Montag takes calls seven days a week. Evening and weekend calls are welcome. We work on a contingent fee basis so we do not get paid unless we make money for you. We deal with insurance adjusters. That way you do not have to worry about being pushed around by a big insurance company and you will not have to worry about making an admission that will be used against you later in court. We can help you figure out how to get the medical treatment you need even if you do not have health insurance. We can negotiate the best possible settlement for your injury or fight hard in court to get you the compensation you deserve. Insurance companies make money by charging high premiums and by paying as little as possible for claims. They have tough adjusters and lawyers working for them. You need a tough, experienced and skilled lawyer like Steven Montag on your side to even the playing field before you can expect to get the money you deserve. If you have been injured in a motorcycle accident in Omaha, Lincoln or anywhere in Nebraska, call the Omaha Nebraska Motorcycle Injury Lawyer at Montag Law Office right away. Do not wait until later, after mistakes have been made, to hire a lawyer. The cost is the same if you hire me early or late in the claim process. Get an expert working for you right away. That way we can manage your case and help you make the right decisions through the entire claim process. Property Damage – In Nebraska, the insurance company is required to pay the cost of repairs to your vehicle. If the cost of repairs exceeds the value of your vehicle, they will owe the fair market value. Medical Bills – All of your accident-related medical bills should be paid in full. Future Medical Expenses – If you need treatment after the time of a settlement or a court judgment your future needs should be anticipated and compensated. Lost Income – If you had to miss time from work and you were medically excused, you should be compensated. Disability and Loss of Earning Capacity – these conditions should be evaluated and you should receive compensation. Long-term or permanent problems must be fully evaluated and may have considerable value. Pain and Suffering – Any time that you have been injured in an accident it is an unpleasant and painful event. Just paying the bills would not be enough to do you justice. You deserve money for the pain and trouble of being injured. Scars and Disfiguring Injuries – any permanent disfigurement can be a constant painful reminder of the accident. The resulting long-term pain must be taken into account. Initial communications with the insurance company and the decisions you make about your treatment early on are a large part of what determines the strength of your case. 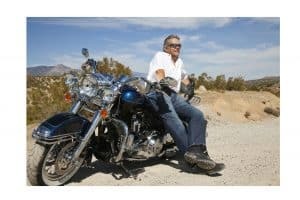 Hiring an expert Omaha Nebraska Motorcycle Injury Lawyer as soon as possible after an accident is the best thing you can do to make a successful injury claim. Do not wait until after mistakes are made to think about retaining an attorney. Permanent damage may be done if you wait too long before hiring a lawyer. Steven A. Montag can advise you at each stage of your claim. If we do not win your case there is no fee. Call my office for a free case evaluation right away.